"Haug is a master at making the mundane magical and the mystical common. His plainspoken encounters with the denizens of the river valley never succumb to the burden of expectations, for they, like the river, are joyfully unpredictable and alive." "The poems in Blood Hyphen may seem plainspoken and, in moments, surreal—but they are also deeply intelligent, rhetorically sophisticated, and imbued with theological anxiety and existential wit. This is a terrific first book." "With what verve and formal acuity Carol Potter puts us right in the welter of the world. Her tales in Some Slow Bees are told with such speed everything unnecessary falls away and what's left is pure honey—with the sting of revelation. The language is exuberant and exacting at once, like a scalpel sprouting feathers." "At times elegiac, at times bitterly funny, these poems are held together by Mulvey's rigorous technique, his moral vision, and a belief that art might help us assimilate loss and transform even the most dreadful experience into something valuable and lasting." 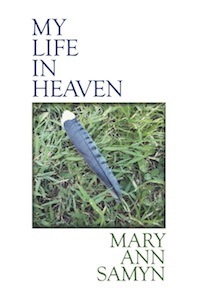 "Observation, insight, tenderness, and humor accompany the poet and her readers from heartbreak-unto-death to afterlife-on-earth in this book. I rejoice in its misery, its finery, its charm, and its wisdom." 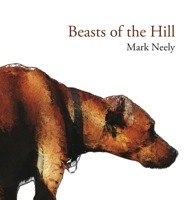 "Mark Neely works in small spaces where the slightest moves have seismic consequences. The acoustics are sensational, and the modest and laconic gestures of the poems are also vehicles for the flights and fugues of a 'glorious attack.' Neely has the chops and the voice to sing the blues." "O’Keefe’s poems are not Time, but another thing that flies—grace, soul, fleeting love, the furious imagination of a poet so attendant to his art as to be contemporary without simply resorting to novelty. Here are poems that vary the existing patterns without abandoning them, that engage sensation without being simply sensational, that elegize the province of what is foregone without being elegies." "Amy Schroeder's The Sleep Hotel is a breathtaking debut. Elliptical, elegant, and gestural, these poems exhibit an intellectual acuity and a passionate discretion that consistently surprise and delight. Always lyrically inventive, Amy Schroeder has done nothing less than provide us with a new, ultra-contemporary poetic music for the meditations of the imagination and the heart." "The poems in this collection--born out of father and Iowa and desert, born out of the burning and visionary places--possess a gravitational pull so powerful I can feel the great bards of the language (Dickinson, Stevens, Bishop) craning over my shoulder to read." "Watchful, ruefully comic, alight with playful lyric precision and a plainspoken rhetorical elegance, Meaning a Cloud is not only a record of one body's recovery from injury but a rendering of the mind's companion journey: pained, stubbornly amused, at last arriving at a state of visionary completion." "As the painters once used the broken yolks of eggs, the rocks, and the earth itself to make their colors, so Mary Cornish has made these miraculous poems: so intelligently wrought the page disappears, so gorgeous I stand and stare. At the core of each is human life, fiercely known and loved and endured. These are the poems of a radiantly alive adult woman." "Jean Gallagher majestically conducts a history of approaches to the sacred in Christian art, scripture, mysticism, theology. She rewrites the Bible as she re-sees the 'gravities, necessities, haphazard plots' behind the frozen sacramental moments of religious art. In a sequence here based on a Duccio altarpiece a bewildered apostle experiences the resurrected Christ 'like a language / I don't know ... and there's never been an alphabet for it, ever.' Now--because of Jean Gallagher's splendid experiment--there is." "Lie Awake Lake is made out of a brilliance of thought, of heart, and of language that we find only in the truest poetry. This fierce homage to the body and to the spirit reminds me of Ettie Hillesum's letters from the transit camp at Westerbork in the Netherlands in 1942-43; it is as relentless and unmediated as if it was letters or diaries, but it is song--come to give us human animals pleasure and to help us endure." "Jonah Winter resides in the Hotel Amnesia, the Hotel of Stars--and though he's a comedian, his room is one along the corridor of the wistful, urbane dreamers: Joseph Cornell, Jean Cocteau. Anais Nin, Charles Simic. At the heart of his method is the list, almost verbless: his marvelous catalogues place unlikely things side by side, creating within the frame of the poem the tantalizing windows of the city of dream." "In Carol Moldaw's precise, objective poems, a Parnassian art is reborn. These poems keep a remarkable balance between inner and outer worlds, between dream-life and stern logic. They are works of art." "Angie Estes' stunning new collection of poems is a brilliant and intellectually dazzling investigation of the often unstable relationship between language and experience. These heart-breaking and inventive poems negotiate the oscillations of event and memory in order to reveal the delicate and highly filigreed interweaving--in our lives--of action, meditation, and utterance. Beauty and insight spill off every page of this rich, compelling, and essential new book of poetry." In his deeply innovative and beautifully human Ghost Notes, Ralph Burns explores the vivid relation between American jazz and American poetry. His book embodies the movement of jazz. In the long title poem he plays wide open, without a mute, as Red Allen advises. The result is inclusive and exhilarating, a structure that keeps on opening and opening. "Stronger is one of the strongest things I've read in ages. Timothy Kelly writes poems rich with music, intelligence and compassion. They make great moves, which should be no surprise, since they often rise from the deep terrain of the physical form, the body, into all the layerings and elevations of thought and existence." High-spirited and unpredictable, Marcia Southwick's third collection is, among other things, a remarkable mirror of our place and time. With unrelenting curiosity and brio, she reflects our materialistic, shopping-obsessed, informationally-exploding, and deeply confused culture right back at us, showing us the world we live in with unflinching honesty and compassionate affection. Inventive anthologies for discriminating readers. Great for textbook adoption too. Information about our annual poetry book contest.